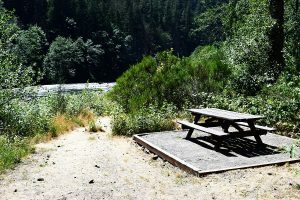 Located along the Clackamas River, Big Eddy Day Use Area is a nice picnic area, providing opportunities to practice plenty of activities such as picnicking, fishing, swimming, sunbathing, and whitewater rafting. There are a few picnic tables in open and shaded by maple trees areas. 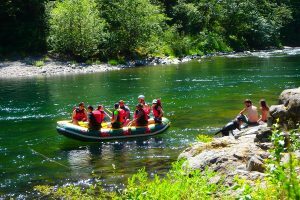 If summer picnics are incomplete without some splashing in the water, then the clear green Clackamas River waters provide a phenomenal cooling off effect. That being said, some caution is to be exercised with regard to swimming in the river. There are rapids upstream and downstream. So, it is phenomenally important to ensure you stay upstream when frolicking in the water. Portland General Electric warns of changing water level and current of all Clackamas River locations. 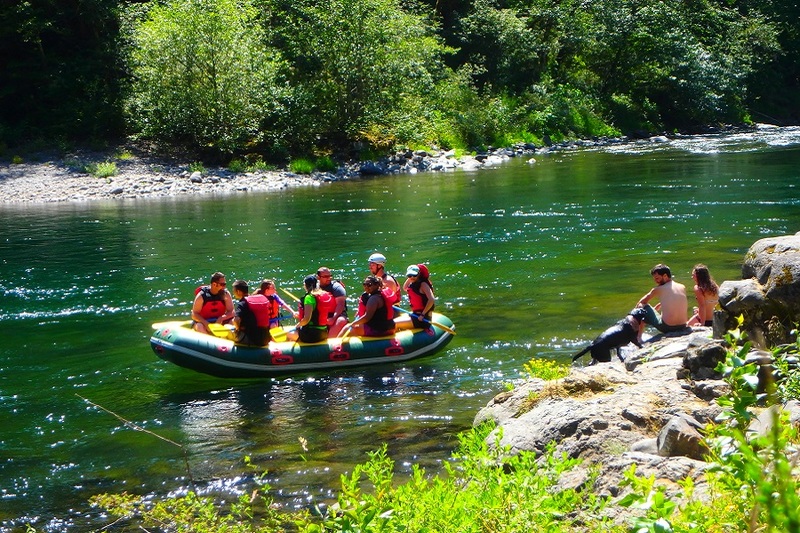 Be sure you have moderate or strong (better) swim skills for safe swimming in the Clackamas River at the Big Eddy. Another point of concern is that while the cold water of the river is perfect for relief from the heat all around, the water really is quite cold, not higher 60°F even in the pick of the summer season. All in all, Big Eddy Day Use Area is the perfect spot to relax and picnic while enjoying the river and nature. 136 miles northeast of Eugene. Turn left onto Highway 224 East (HWY 211S) and continue 13.1 miles to the trailhead on the right between milepost 37 and 38.